If you are a U.S. permanent resident, you don’t have to apply for a visa in order to visit Canada. Even if you hold a passport from a country whose citizens are required to present a visa to enter Canada, all you need is your green card or other evidence that can prove your U.S. permanent residence. If you are staying in the United States under a non-immigrant status, such as F-1, B-2 or H-1, you do need to obtain a visitor visa before travelling to Canada, if your country is on the list that requires visas. You may have heard of the “30-day rule (Automatic Revalidation),” but don’t confuse it with entering Canada because it is only referring to your return to the United States. If you are already a U.S. citizen, you don’t need a visa to visit Canada or a long list of other countries. The Department of State publishes extensive country-specific information, including entry/exit requirements, for U.S. passport holders planning to travel abroad. This post was originally written to discuss visa requirements for U.S. permanent residents visiting Canada. From the comments below, however, it seems more readers have questions about passports, especially expired passports. According to the Canada Border Services Agency (CBSA), if you are a U.S. permanent resident, AND you are traveling to Canada directly from the United States, you don’t even need a passport as long as you can prove your identity and status. Your valid green card (or valid I-551 stamp on your passport) is sufficient proof of U.S. permanent residence. However, if you are traveling to Canada from another country other than the U.S. you will be required to have a valid passport, even if you have possession of a green card. Confused? Let’s summarize: There are three pieces of documents we’re talking about here – visa, green card and passport. If you have a U.S. green card, you don’t need a visa to visit Canada. If you have a U.S. green card, and travel to Canada directly from the U.S., you don’t need a passport either. If you have a U.S. green card, and travel to Canada from another country, you will need a valid passport, but you don’t need a visa. Having said that, we strongly recommend that you always carry a valid passport for international trips. It is the only universally-accepted document that proves your identity. Even for the limited case discussed here where you are not required to have a passport, the Canadian government still suggests that you carry your passport nonetheless. You’re taking on unnecessary risks by not having a valid passport with you while traveling. Indicates permanent resident status in the United States. 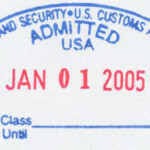 Holders do not require a passport or temporary resident visa when travelling directly from the United States to Canada. This entry was posted in Green Card, Travel, Visa. Bookmark the permalink. You said “persons lawfully admitted to the United States for permanent residence who are in possession of their alien registration card (Green card) or can provide other evidence of permanent residence”. What dose the other evidence of permanent residence mean? Would I-131 Advance parole and renewed I-94 (asylum granted stamp) be sufficient enough? I looked and looked all over the Interned. Even Canadian Embassy or Consulate or Canadian Border Services and other agencies can not provide me accurate answer. Other evidence may include, for example, a “green card stamp” on your passport. This is issued when you have already become a permanent resident but for some reason don’t yet have a physical green card in hand, and need one for travelling. Form I-131 (AP) is issued when you are not yet a permanent resident (your application is still pending) and therefore cannot be used as proof of permanent residency. Form I-94 is for non-immigrants. Does the two years temporary permanent resident still suffice. I just obtained one through marriage and intends to visit my friend in Canada. Thanks. Did you mean the two-year conditional green card after marriage to a U.S. citizen? Yes, the two year requirement is still there, but it doesn’t affect visiting Canada. Cool! U.S. Permanent Residents Can Visit Canada without a Visa. I am planning to go in Canada but I am thinking how much would it cost for applying a visa. Now, thanks for this info, I easily can visit Canada. I have a valid permanent resident alien card but an expired passport from my country of origin. Can I still travel to Canada for business? I have DV immigration visa for USA. Can I visit Canada before entering US? I mean just by us immigration visa and no green card stamp on my passport. Excuse me I have a question, my dad is Mexican citizen but he lives in U.S and hes permanent resident there , but Mexicans citizens need a visa for be able to come for vacation here in Canada , so according what here you said in this page he will not problems to fly from states to Canada right? So what he need to do ? Just show his green card in the airport and after in the customs desk arriving to Canada ? A valid passport and a valid permanent resident card (green card) will do. I am Mexican. 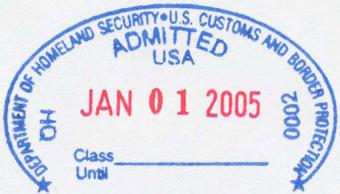 Permanent US resident. I do have a mexican passport. What do I need to go into Canada? Your valid passport and green card. I am a permanent resident, but my Ukrainian passport expired like a year ago. Can I get into Canada on just my green card and driver’s license or must I renew my Ukrainian passport first? I know this question has been asked many times, but I think my case might be a little different. I am a U.S permanent resident, I have a valid green card and I am planning to go to Canada for three weeks for a summer camp. However, I am not a citizen of US, and I do not have a passport from Uzbekistan, my home country. I was too young to have a passport of my own when I left Uzbekistan. I also learned that non-citizens of US cannot obtain passports. Does this mean I cannot travel to Canada until I become a citizen of US and obtain a passport? Thank you. That’d be my suggestion too. Even if you’re eligible to apply for U.S. citizenship, the process may take several months all by itself. So the easiest way might be to apply for an Uzbekistan passport at an Embassy or consulate near you. Thank you so much for such a quick reply. The only problem is that it is impossible to get a hold of Uzbekistan embassy. In general, you will need to present a passport from your country of citizenship or your refugee travel document to travel to a foreign country. In addition, the foreign country may have additional entry/exit requirements (such as a visa). For information on foreign entry and exit requirements, see the Department of State’s webpage at http://www.travel.state.gov. I am an asylee with an I-94 card (and a green card). Would I-94 be considered my refugee travel document? I-94 is not a travel document. In addition, once you receive your green card, I-94 is no longer useful as it is for non-immigrants. Since you have a green card, you will have no problem leaving and returning to the U.S. The passport requirement is on the Canadian government side. You might want to contact them with regard to your dilemma. Nikita: If you got your green card as a political refugee, it might hurt your immigration status here in the U.S. if you get a passport from the country from which you were persecuted. Hi I am about to travel to Canada by land from US in a few days but my US passport has already expired. I however still have a valid US green card with me. My question is that would the green card be sufficient for me to get into Canada and out of Canada to come back into the states? Mongolian citizen and permanent resident of USA, traveling to Canada for a week. I am thinking to travel by bus. Do I need to have other documents beside a passport and a green card to travel Canada and come back? @T.C. Your green card is no longer valid after you became a U.S. citizen. So you don’t want to use that. @Phil: A valid conditional green card is still a green card, so along with her Chinese passport, she should be able to visit Canada without a Canadian visa. Whether a person is allowed to enter a country is strictly up to the border agent at the country’s port of entry. What this article and the comments below are describing is simply stating the minimum requirements – directly from the government sources – but it is in no way a guarantee of your admission. So is a permanent resident card enough to visit canada with a chinese passport? Sorry, I’m still a little confused if the ‘two year conditional green card” = 2 year permanent resident card? I’m going to drive my car and cross the border by land with my wife and 10-month-old son. Is there any fee at the border (border crossing fee) to visit Canada or enter the U.S. when I’m coming back? FYI, I’m a Permanent Resident, and my wife and son are citizens of the U.S. We are Florida residents. I got married recently and my permanent resident (green card) has by maiden last name while my drivers license has my married last name. Will that cause any problems at the border when I go visit Canada? Should I just show my permanent resident card at the border and not worry about my license or should I show both and bring my marriage certificate? Thank you!! It is always better to have and not need, than to need and not have. You never know what questions the border agents will ask so I say bring all three just in case. I am a US Resident currently visiting Colombia..My father lives in Canada and I want to go visit him before entering the US again. Can I fly directly from Colombia to Canada first without having to enter the US? I am originally from Peru.Two years ago I became a US citizen, with my new status I helped my parents to obtain green cards. They have arrived into the US last Monday, but they have to wait for two moths or more to get their green cards in the mail. I would like to take them to Canada this weekend but the only document they have right now is their Peruvian Passports with a US visa.Their passports also show the entry stamp and an Alien number. Is all they need to visit Canada? Do they need to show a physical green card? I am an American Resident, and I would like to know what I need besides my green card. Thanks for your help. I am a US permanent resident planning to travel by land to Canada. My passport is expired. Would I be able to enter with just my green card and maybe ID from the state I reside? 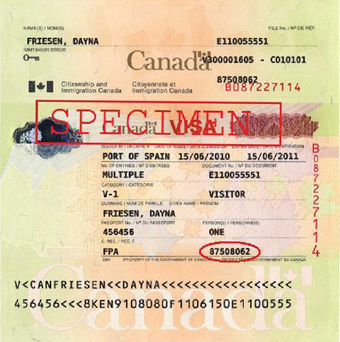 According to this official document, you can enter Canada from the U.S. without a passport as long as you have a valid green card: http://cbsa-asfc.gc.ca/publications/pub/bsf5023-eng.html#s2x4. However, the Canadian government also highly recommends that a person carries a valid passport even if it is not mandatory. Hi, I have a similar question just like above. My grandma just came to the U.S and she got her permanent resident card (10 years card). She also has a valid passport (from her country). I know that she can visit Canada with her green card. However, when she come back to the U.S. Does she need any other documents beside her green card and passport to get back to the U.S? That is all she needs to come back to the U.S. Hi!!! im about to travel to canada and i have permanent green card (10 years card). I dont have a valid passport, so can i go to canada and come back with my permanent green card? HI! I am about to drive from Seattle to Alaska and I am currently US permanent green card holder. I’ve been living in Alaska for the past 3+ year. Can I drive across Canada with just permanent green card, as for my passport it’s is EXPIRED. Is it okay to cross the border by Green card? Well, that is what the official documents from the Canadian government says, that you can enter Canada with just a valid green card. They also highly recommend that you carry your passport, however. We were not allowed to board by WestJet to travel from Dallas to Calgary on June 27, 2013 despite confirmed booking. We are US residents with I 155 stamped on our passports. The Chinese looking officer on the reporting WestJet desk refused us boarding. We had traveled for 5 hours in scorching heat from Houston to Dallas. We are senior citizens. We had to return by traveling another 5 hours back to Houston. My wife even showed him the social security card. He threatened that even he allows us to board, we would be deported from canada and black listed for nor entering Canada again. We had to fight for refund with Westjet people on phone and on sixth attempt were allowed refund in WestJet account after deducting $ 75/- per seat. This is a shear case of discrimination by the airlines enticing us to undertake legal ation. Sorry to hear that. What was the reason they gave you? Hello, I will be traveling to Canada in September 2013. I leave in the US and I have a permanent Resident card, but I’m holding Indonesian passport, do I need a visa??. I received a conditioning Two year Green Card and have an application pending to remove conditions. Uscis sent me a letter showing my permanent resident status have been extended for a year while their processing my application. Can I travel to Canada with the expired card and letter showing proof of resistancy? Hi my mom is going to US this August, but the flight that my Auntie booked for her is from Manila to Vancouver, then they just plan to drive from Vancouver to Washington. Can she enter Canada with her Phil. passport and US immigrant visa? Your advise would be very much appreciated. Thanks!